I cut the switchgrass down this afternoon and I already miss them. I can hardly bear to cut those beautiful tawny golden blades down to stubs and put it off until the very last minute. I really didn't want to, they still look so pretty, but if you wait too long you can't clip them with your hedge clippers without running the risk of cutting off the new shoots. Lucky me, there were no green shoots showing and I could chop away! Panicum is a stellar grass for winter interest and I've never understood why gardeners cut it down in the fall. It fills the garden with movement and beauty all year long and the standing grass provides food and shelter for visiting mammals, birds and insects. 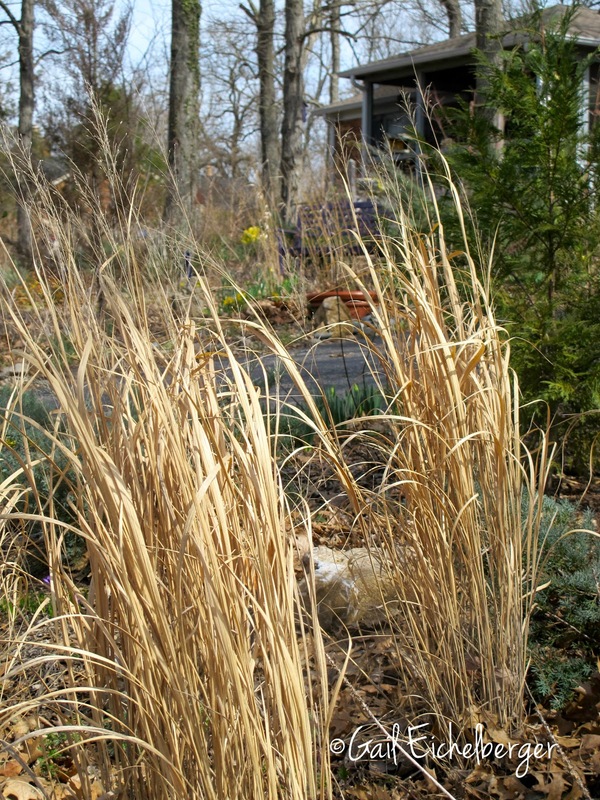 I've heard gardeners complain that grasses are floppy and messy by mid winter. If that's the case, they might want to add Panicum virgatum 'Northwind' to their gardens. It is without a doubt the most upright grass I’ve ever encountered. Strong winds, heavy rains and even snow have not made it flop over. Me, I don't mind floppy grasses. In fact, I appreciate how they have softened the sharp corner of my house along the path to the porch. I can't recall if this graceful beauty is a cultivar or the species, but I love it. It's rather ironic that it took European plant breeders to open our eyes to the versatility and beauty of Panicum virgatum. It has a long history on this continent. It's native to the tall grass prairies of the Great Plains from the Rocky Mountains to the Atlantic Ocean and it can still be found growing in ‘remnant prairies’ and along interstates. You could certainly say that it has a lot going for it-graceful form, long seasonal color, deer resistance, hardiness, drought tolerance and adaptability. Thank goodness it won't be long before they start greening up! I do miss them waving at me as I walk the garden! Don't you just love that kind of blond? I can see why it's difficult to cut them down....they bring year round beauty!! They do look so lovely! I love my Panicums too, I still have a few clumps stanidig. I try to leave them till the last minute too. I'm the same way, I love looking out the window and seeing them waving around in the breeze, it's so hard to cut them back...but there's always that threat of cutting into the new growth. Sigh...I think this weekend, I have to do it! 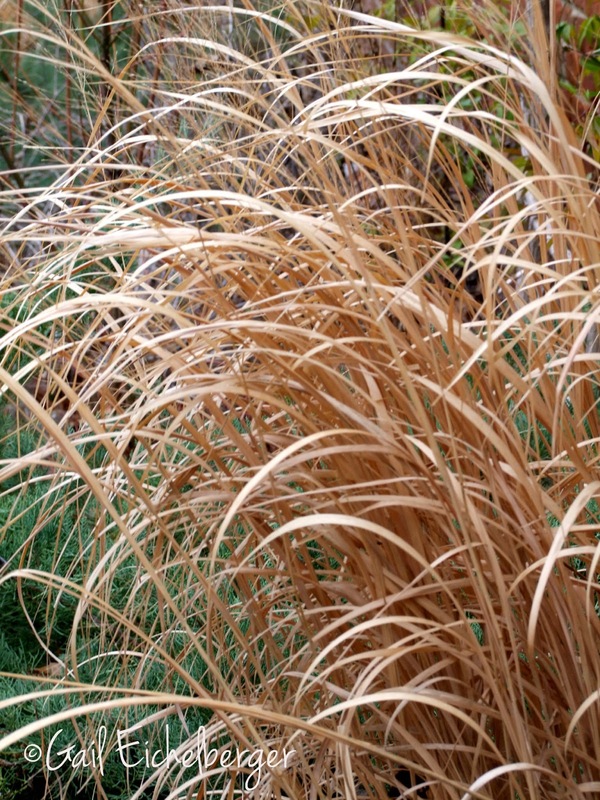 I still haven't cut down my grasses, although I did think about doing so today, then put it off again. It is simply that I will miss their height and movement. I suppose I can leave it another week here. I agree with you about gardeners cutting them back in autumn - they are missing out on some gorgeous winter interest and depriving our wild friends of food and shelter. It is ironic indeed. There are many of our native plants that have traveled to Europe and back before we realized how worthy they are. I guess plants aren't appreciated in their own country anymore than prophets. Hugs. I cut back my switchgrass last weekend. I miss them, too. They hide the utility boxes in the front corner of the garden by the curb. It is always a good feeling to get those grasses cut back. I did mine some time ago when we had a warm spell. It won't be long and they will be pushing green shoots up. Come on spring. I need to add more grasses to my garden! I second Lisa's motion, come on spring! Can't wait for the new wave of green! Northwind is also one of my favorites. The winter has been such, however, that it's been bent over for a while. I will be cutting mine back after the next time the snow melts. 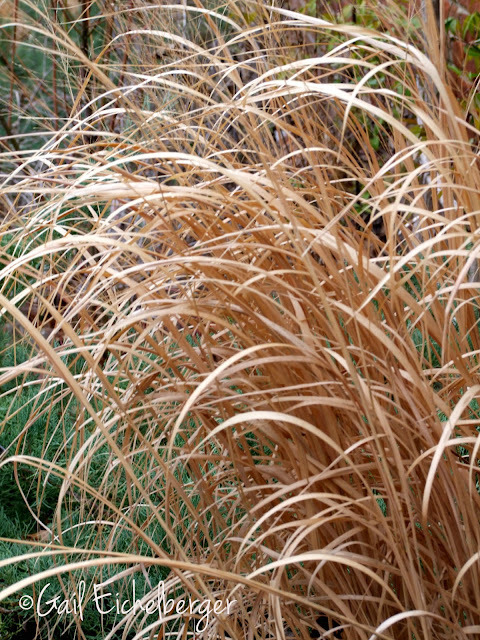 I agree Gail that I love my grasses all winter...all my grasses stay upright all winter even with 14 ft of snow and they wear the winter well. I have Shenandoah, Heavy Metal and Dallas Blues...just a few Panicum! The Shenandoah is the oldest, love its red fall shades mixing with the golden tans. Mine got cut today...and I have the blister to show for it. Very simple and wild things but looking so beautiful. All credit goes to your presentation and shotting quality. Thank you for sharing such a good post. I loved these pictures :) and your beautiful big blue pot too! In my last blog post, I talked a bit about how I've come across different cultivars of native plants. 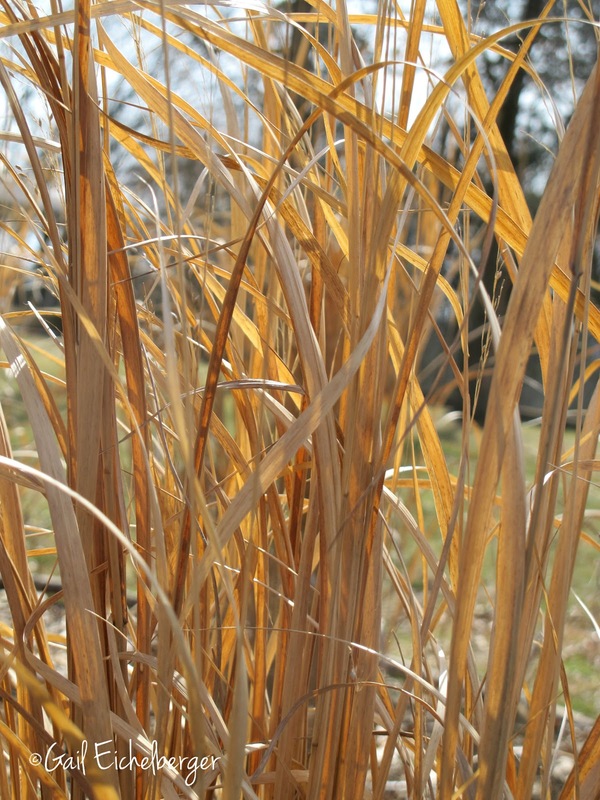 It makes me feel better to see that you have some of the different kinds of switchgrass, too. I do like the different ones I have, including the native one I found after planting the cultivars. I had thought about taking them out, but hate to do that. my view its truly remarkable designed for me. is so jealous, and a natural part of me is enjoying my sleep right now.